About one month until completion. We took off the footsteps and saw the whole view. Approach to the house going up a loose slope. How it looks, it is very important because it is everyday. 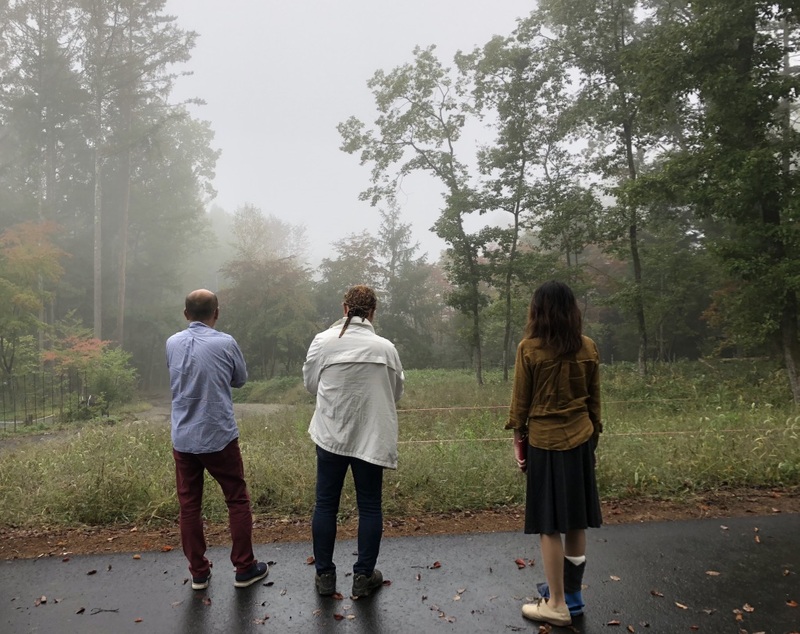 We are considering natural stone and planting to be familiar with the scenery of this place. How and how large the stones are, several trees. We will meet there this weekend. Planting trees will create a pleasant garden space. 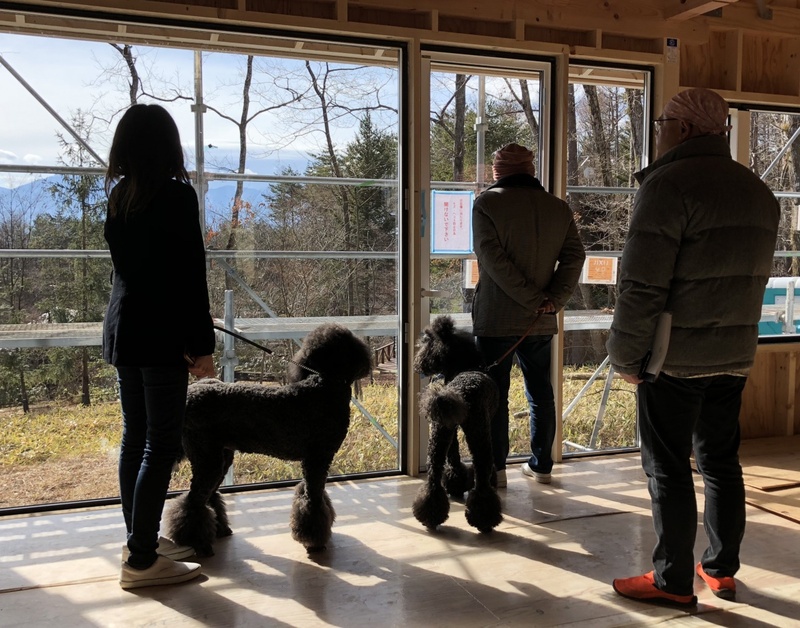 They came from the snow-free Fukui to the site of Yatsugatake. 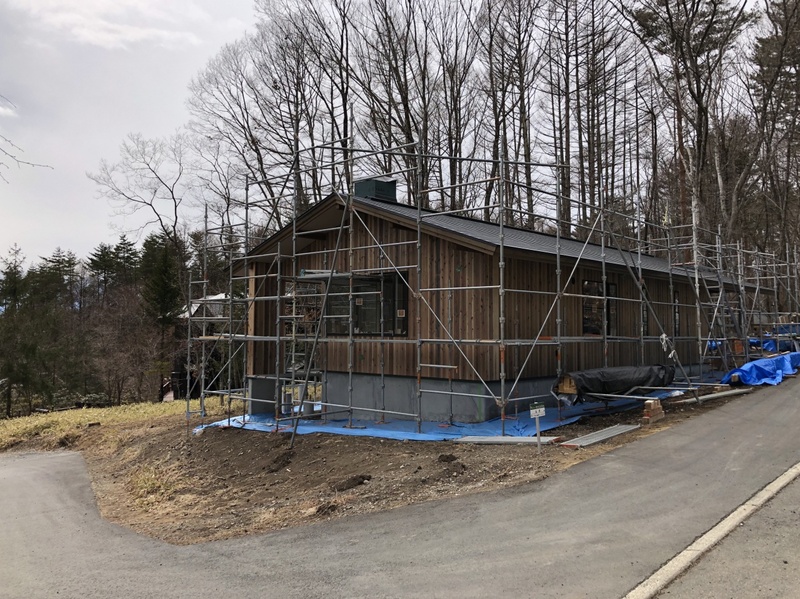 Wood construction will be over soon, and we will begin finishing work in early next month. The wife was disappointed that "it is not decided anymore", but from now on, meeting of roll screen and landscaping planting is ahead. Where to place the trees and how to adjust the ground surface around the building? We will move on to work to further prepare while sharing the scenery with them. 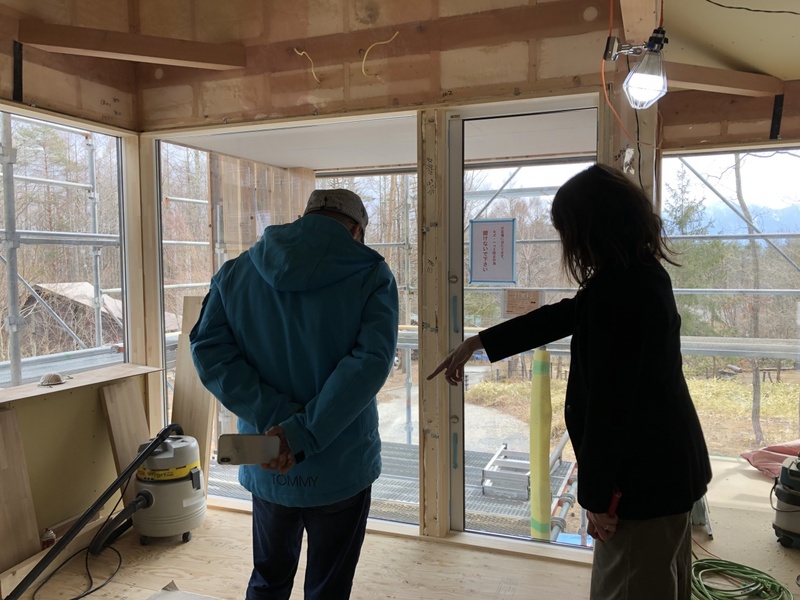 The owner couple visited the site. 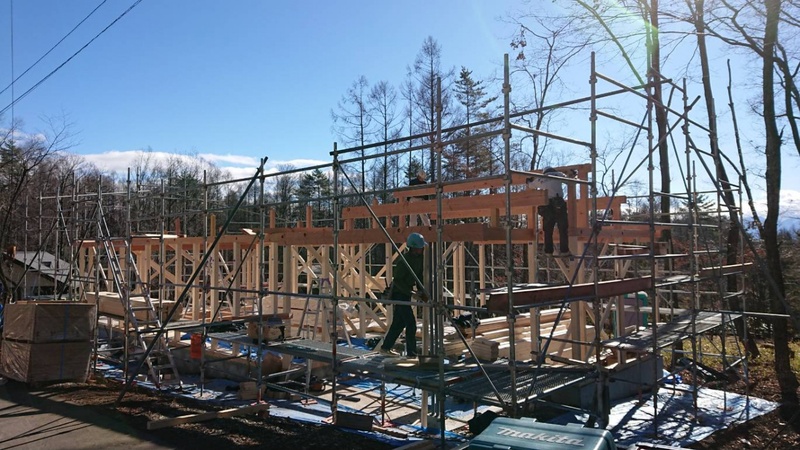 The sash is attached, and the foundation of the board is completed. The house looks up from the road. They seemed to be relieved to see the house adapted to the place. 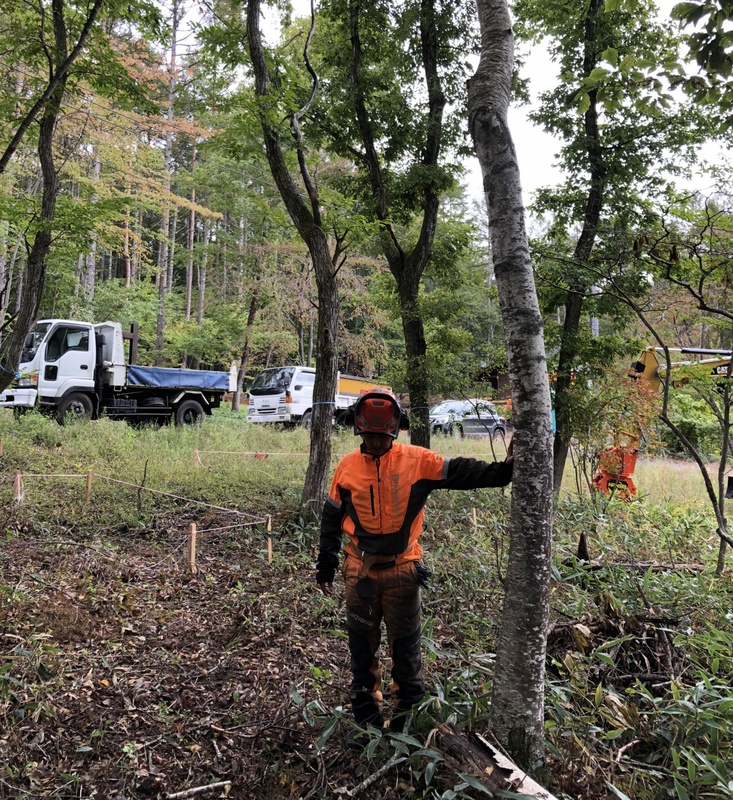 We will meet with them next month to be the final stage of wood construction, and we will arrange screen construction and planting work. There is still more to decide. The blowing water bubbling insulation work is over and the image of the space can be done considerably. The scenery where the couple looks side by side from the dining. We will make various considerations for a comfortable space, a house where you can live with peace of mind. Sashes are installed and it seems to be home. 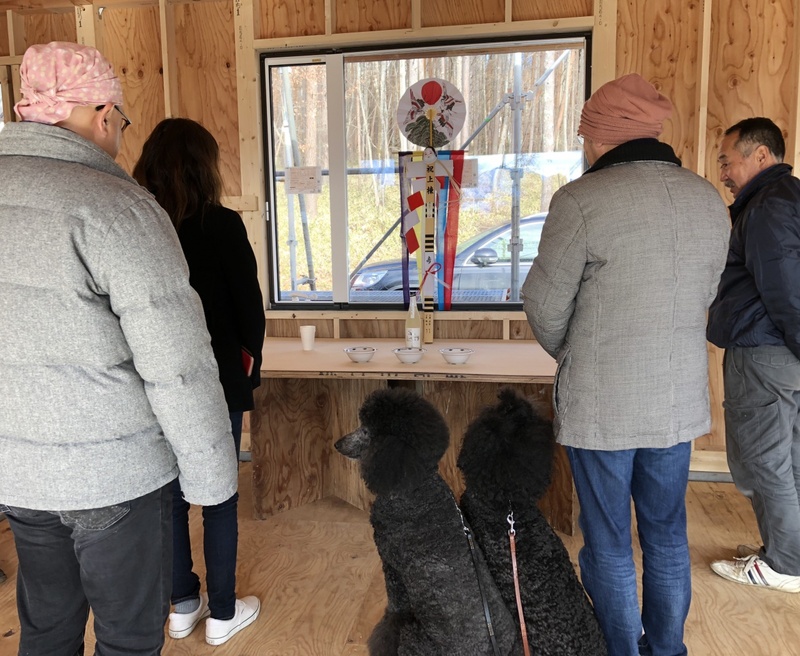 Today Mr. and Mrs. and Sakura and Cherry participate and it is the ridgepole raising ceremony.They seem to know that this is a new house. From the living room you can see the wonderful view of the blue sky and the Southern Alps. 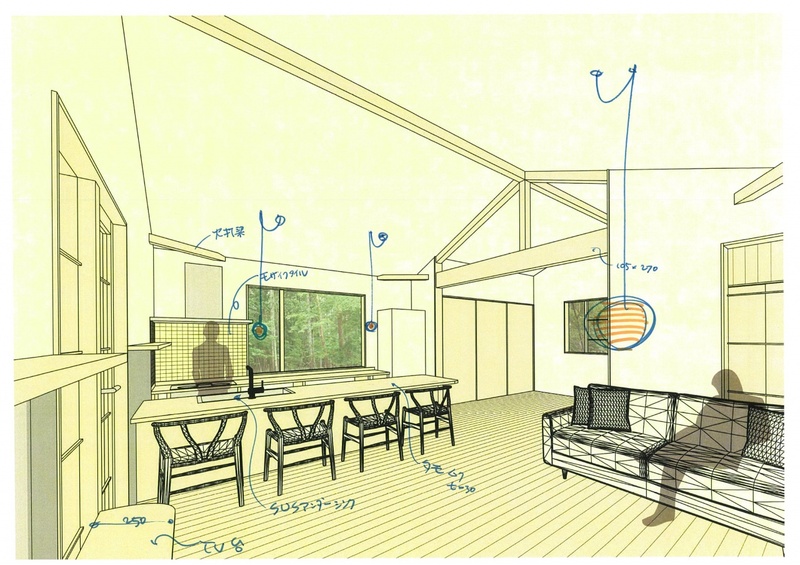 Mr.Nakamura has been warming up for many years "Concept House for living with two couples". It is a small flat house, but it also becomes a place where children who became adults gather. 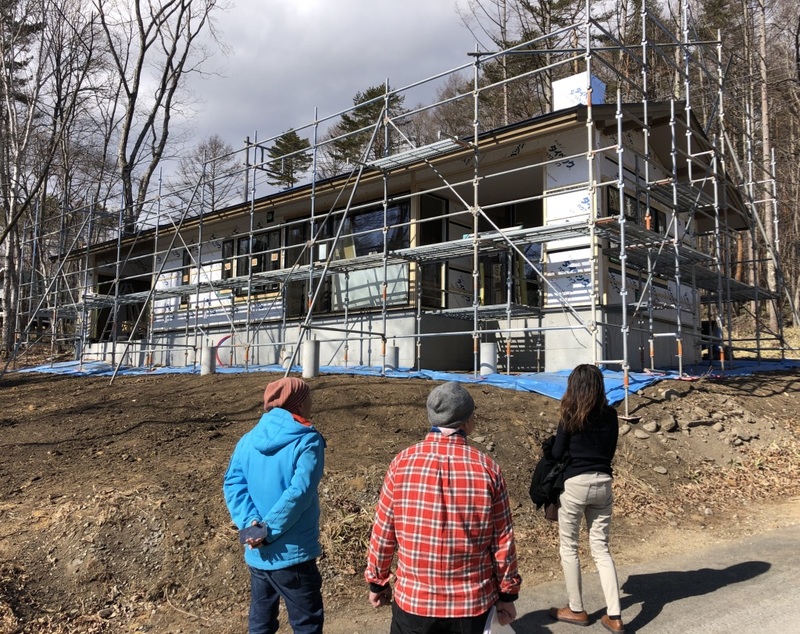 In the blue sky, Hirabayashi carpenters and cheering carpenters handed up the building at around noon on the first day of construction. Next week, the owner couple from Hokuriku will come and will do the ridgepole raising ceremony. In a space that became real, we will discuss materials, lighting plans, etc. The frame was broken and the whole foundation appeared. 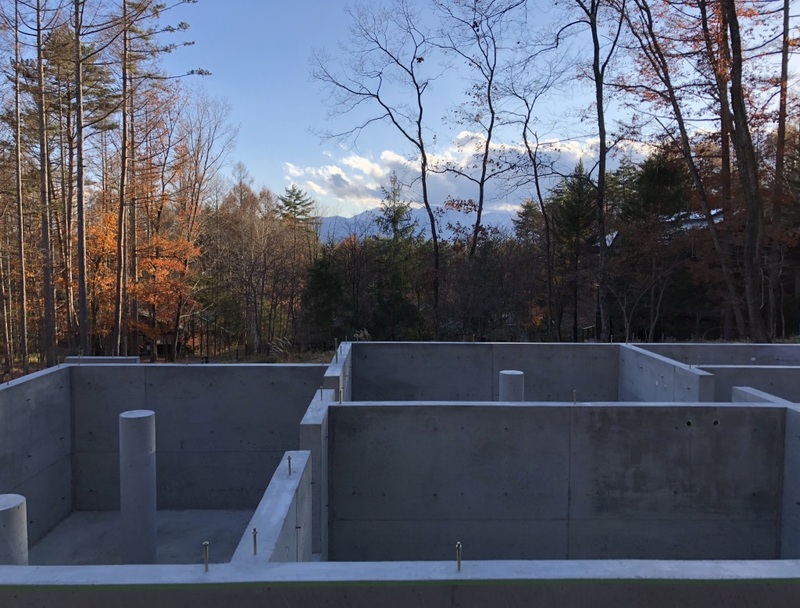 From the level of the living floor there is a view of Mt.Jizo of the Southern Alps in front. We are preparing for next week's way of building. Naturally the highest place of the foundation of the north is decided. The ground which seems to be flat at first glance is also inclined in many cases. Most of the architectural landscape is inclined in the natural environment. 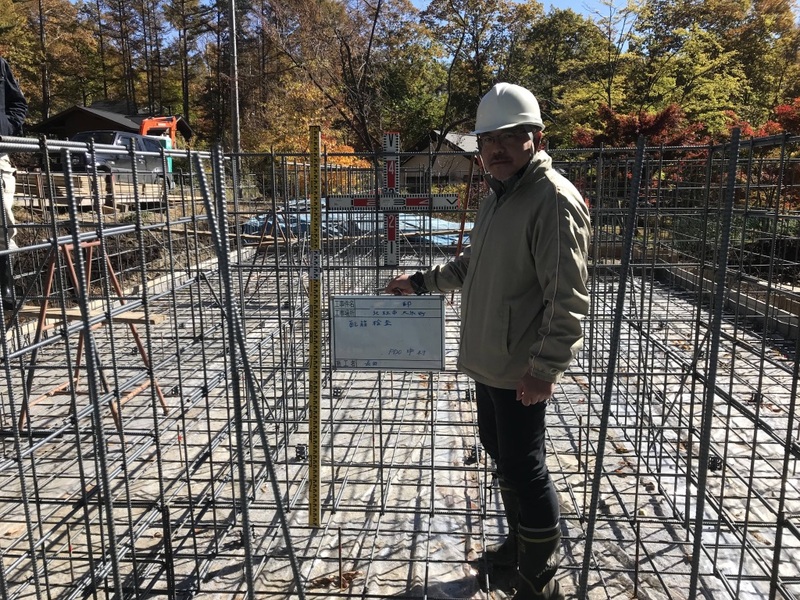 For the foundation it is necessary to keep the bottom surface constant. That was why I became a deeper foundation than my height. Most hardships are buried in the ground. Reinforcement construction is a splendid workmanship. 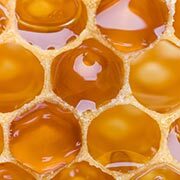 The foundation of the house of honey was RAFT FOUNDATION STRUCTURE. 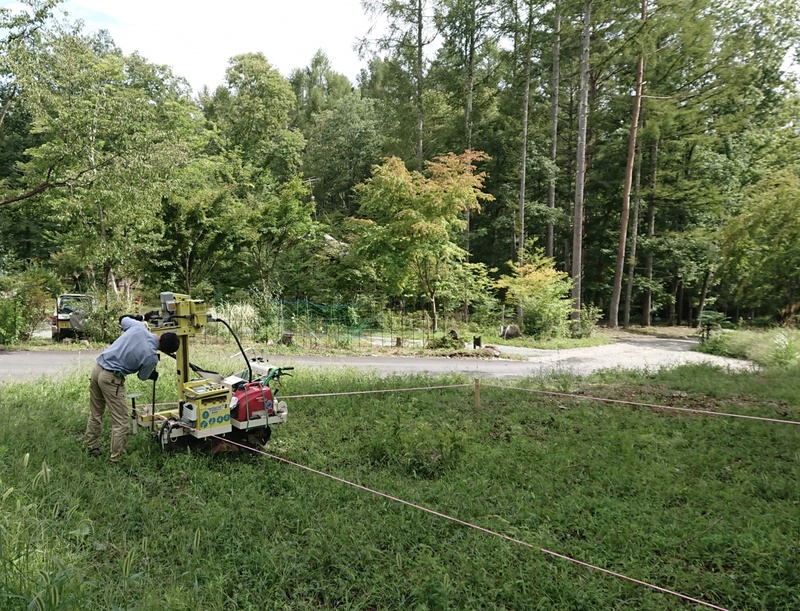 In the ground survey, it was possible to correspond with REINFORCING BASE FOR CONTINUOUS FOOTING. However, the site slope is a tenth gradient. The wall height must be 1500 mm. It is a very subtle, careful decision. 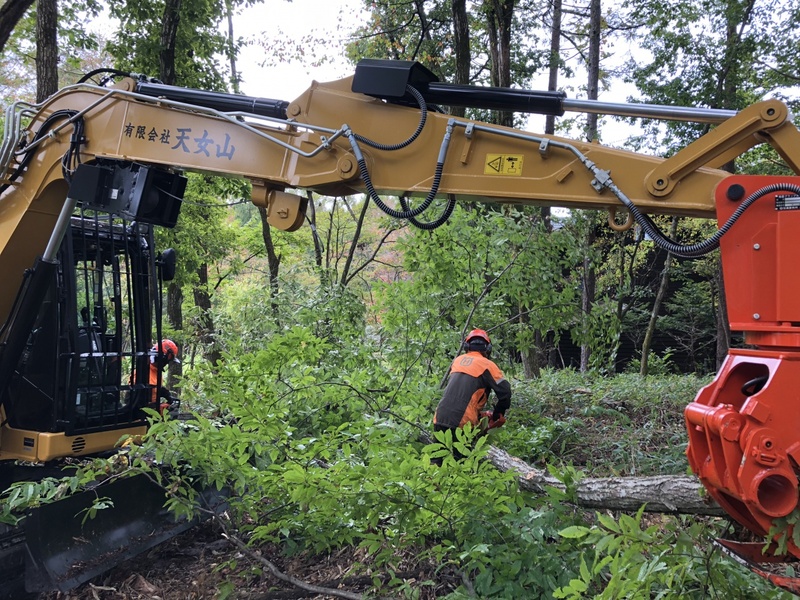 We will cut a few logs before the foundation work. The white birch that the owner wanted to leave has insects in the trunk, is leaning towards the building, and made a decision on logging. It is also important for them to trust us and entrust our judgment. That is why sharing values ​​is important over time. A fantastic morning with fog on. Greeting the land of God with alcohol in Fukui. Construction work will begin at the end of the holidays. Immigration from the Hokuriku town that lived for many years to the Yatsugatake plateau. It will be a place for children gathering outside the prefecture. We conducted a Swedish-style sounding test. First We pierce the rod (steel bar) vertically into the ground. 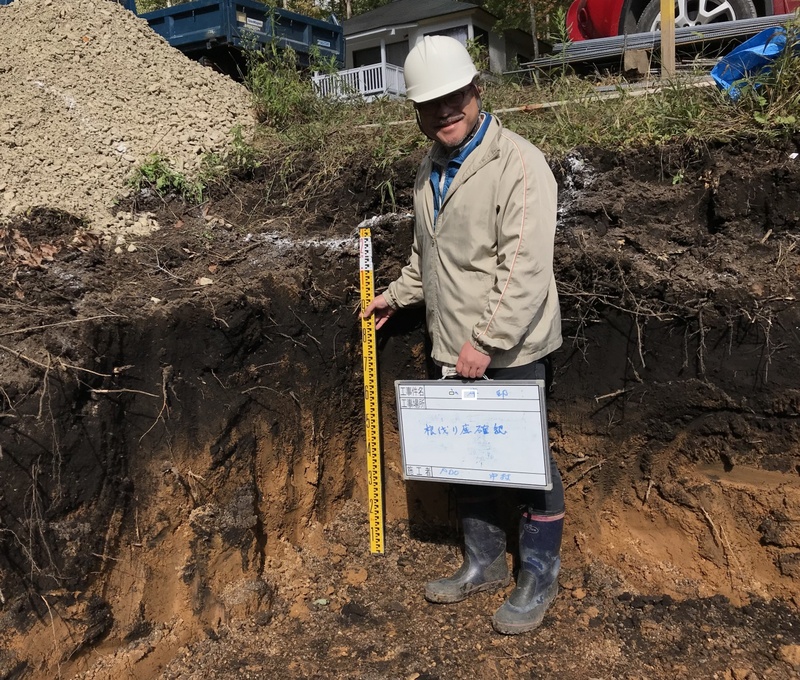 It is a method to investigate the condition of the ground from the sinking way by applying load and rotating. 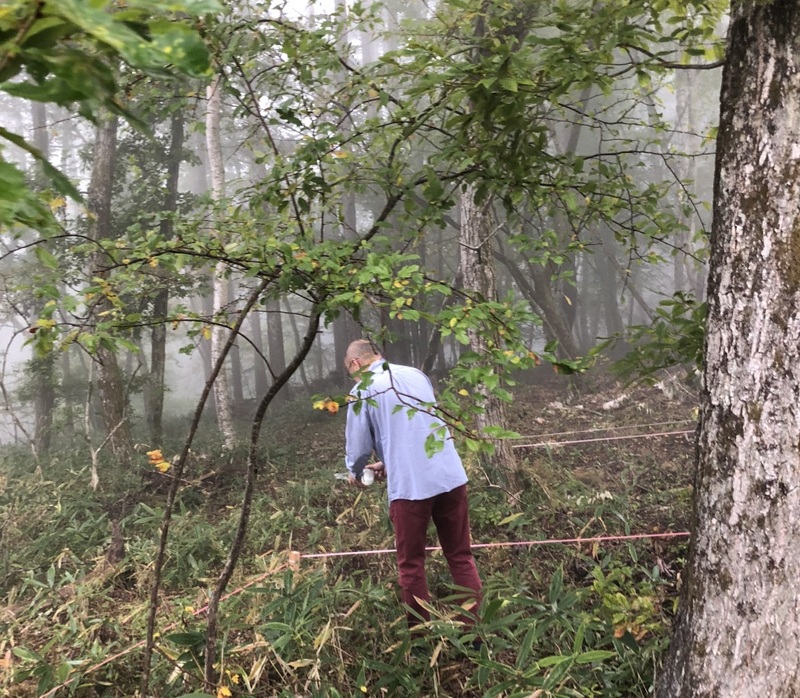 The slope of the southern foot of Yatsugatake, the ground is relatively good. Nevertheless I'm worried until I get results. Preliminary report values ​​came out the next day after the survey. It is a good ground. First of all, it is relief. 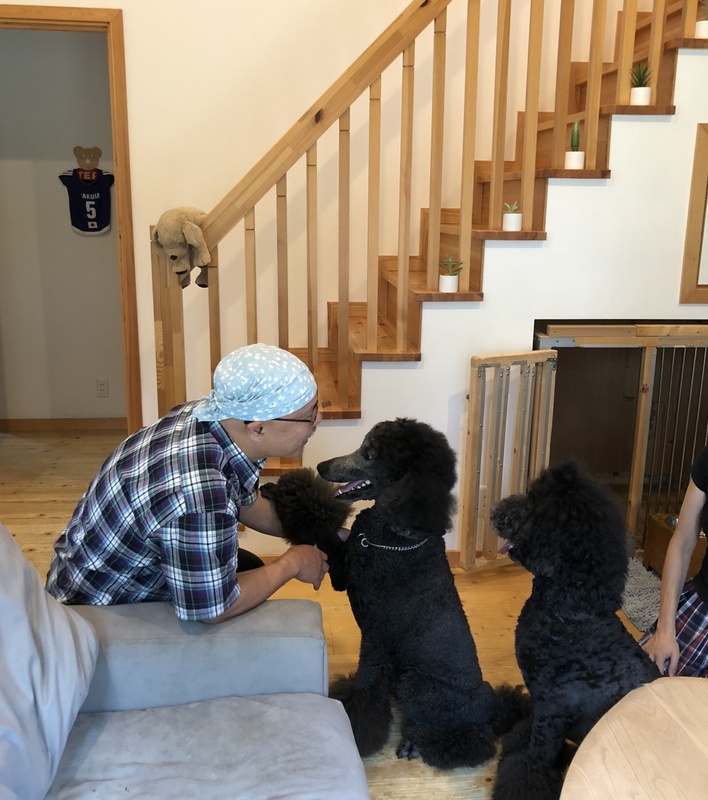 We went to their home in the seaside town of Hokuriku. We understood the demands so far, looking at their local environment, living life, dissatisfaction of their current residence. Prior to construction from autumn, there are application of design review and ordinance for town development. 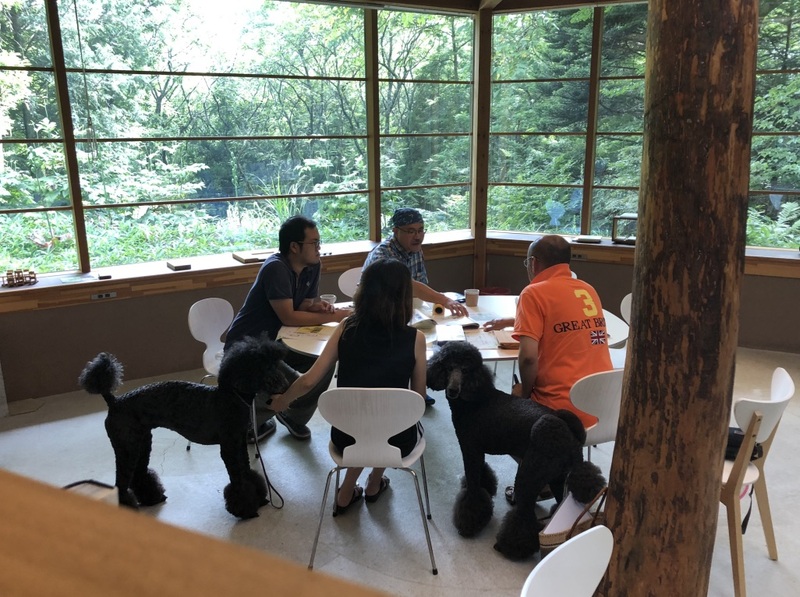 Dogs are also involved in the meeting. 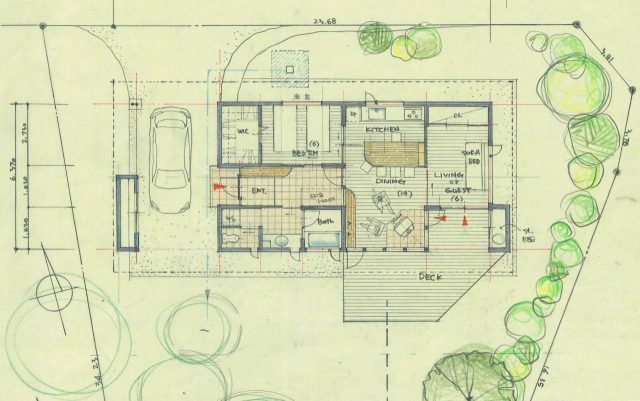 Even if planned as a concept house, that plan will grow up as a design of owners' preferences. Where will you put the wood stove? I would like to enlarge south windows to the very limit which is structurally allowed. 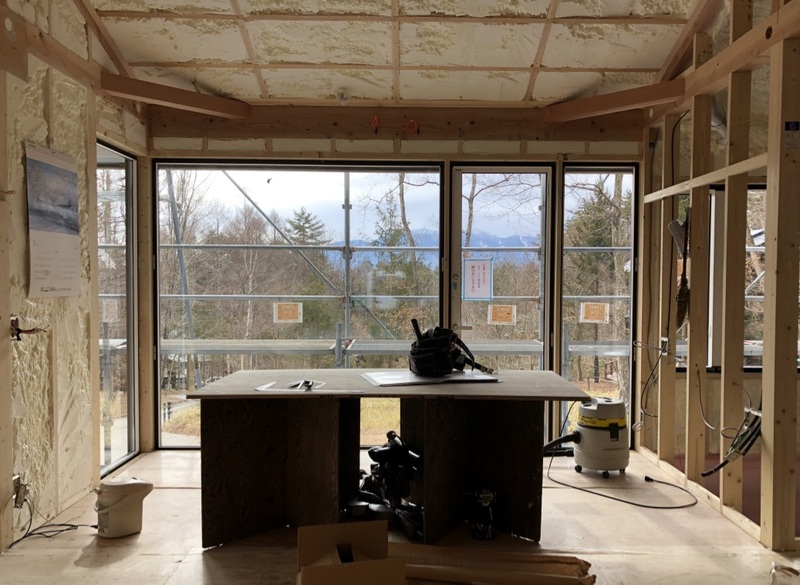 Kitchen's North Window is big! As the performance of the glass has improved, the new energy conservation law can also be cleared. The uneven space becomes one connection, and it seems to be wide. It is an important element. It seems to be a fun "honey house." 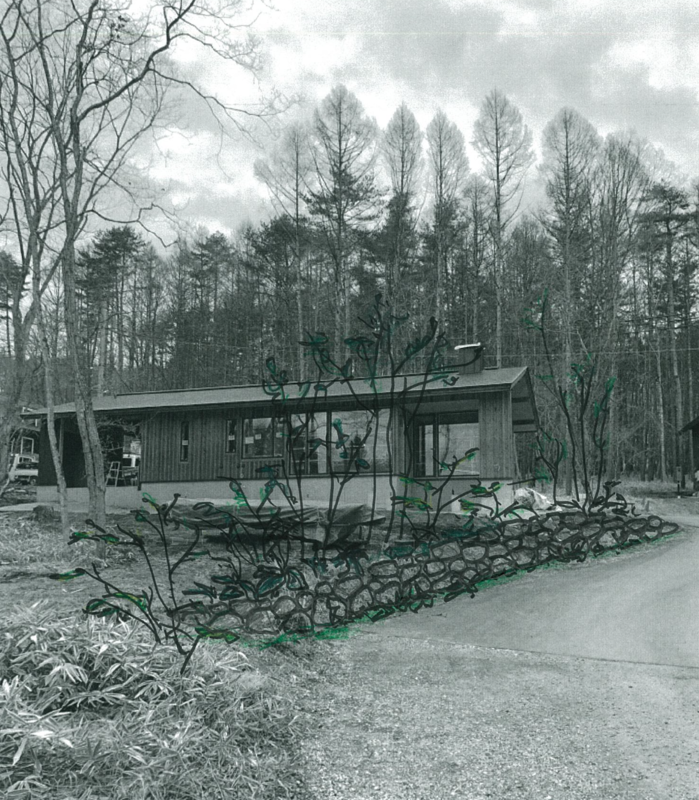 Concept house Nakamura has been warming for many years. 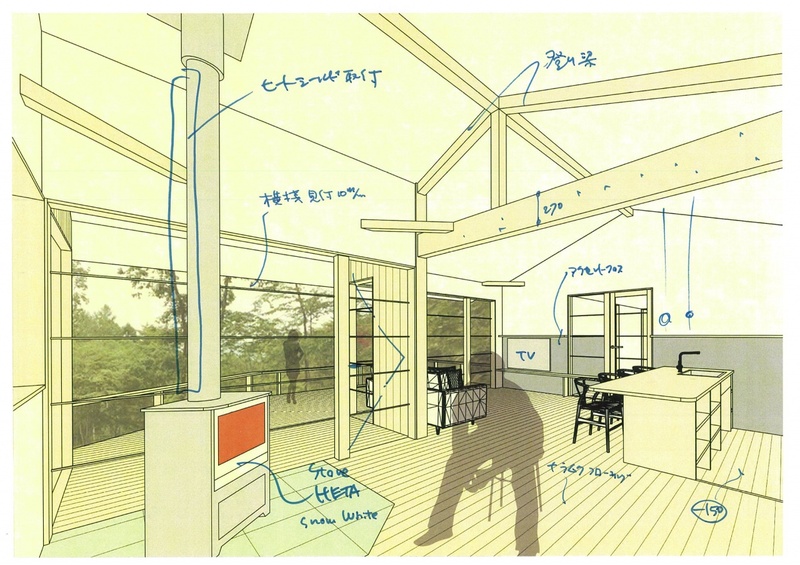 A small house that Nakamura who is the same generation wants to live, after finishing parenting. Space to receive the relationship of radius 5 mail. Because there is the closest existence, there is something I want to take care of. Meeting for customization according to the couple based on the base plan. 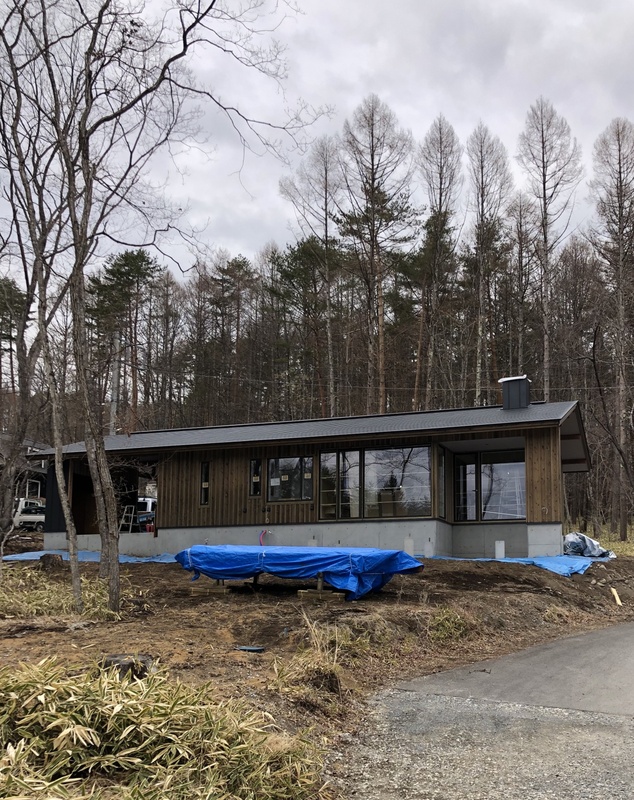 A fun project starts at the southern foot of Yatsugatake. After finishing parenting and experiencing life experiences of emotions and sorrows, I hope the couple is starting to live a new life in the future, sweet like a honey · · ·. A small house that is warm in winter, cool in summer, easy to maintain is good. So in this case baggage is also minimal. I would like to propose the house I would like to live as PDO's concept house to many people. I have continued to warm such ambitions. The owner couple who finally approve appeared! Starting from searching for land, I thought that it was right for this proposal while listening to the idea of the house. The site is a pleasant land to see the Obelisk of Mt. Jizo far. It was worth looking tenaciously. It's a wonderful place with an altitude of 1200 m.